Posted April 12, 2017 by Apoch. The other night while scrolling through Bandcamp for something new, as I am often bereft to do, I happened upon some black metal that caught my attention. As of late, indie and unsigned bands from Japan have been catching my attention, which is why the debut three-song offering from Eat Lead, titled Homage to the Dark Lords, immediately grabbed my attention. Of course, I’d be furious with myself not to spread it around. It’s very clear Homage to the Dark Lords is an early career effort. 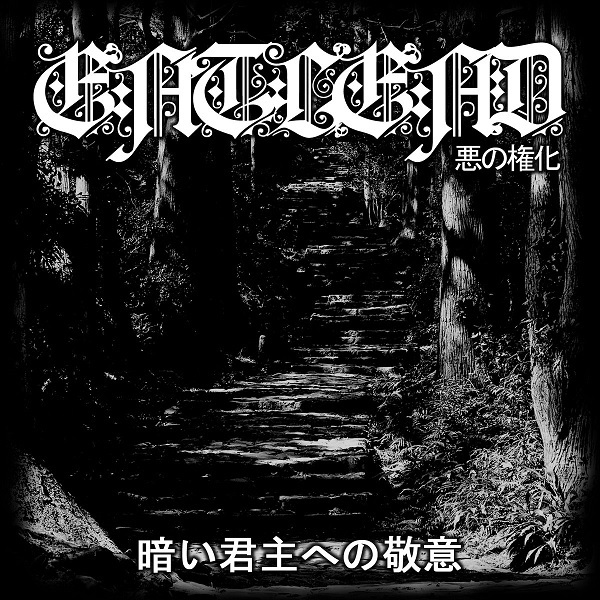 While I was smitten by the title track, I found some parts of “Reign of the Japanese Shinigami” to be a bit too generic, and the orchestral introduction to “Set Upon the Gates of God’s Heaven” too crisp for the already rawer nature as well as a bit out of character. My initial thoughts of this release were that of Dissection laced with early Darkthroe, where as this closing performance felt more Cradle of Filth in many ways. While ill-fitting, it wasn’t a bad experience in the least. But, regardless, I still ordered the limited cassette. I’ve been playing the digital download and soaking up the potential. Given a little more time to refine their sound, not to mention maybe make the vocals a little stronger in future mixes, Eat Lead can become a strong contender in the underground black metal world. So be sure to order your physical copy while you can at THIS LOCATION, or at the very least check it out through the Bandcamp player above.